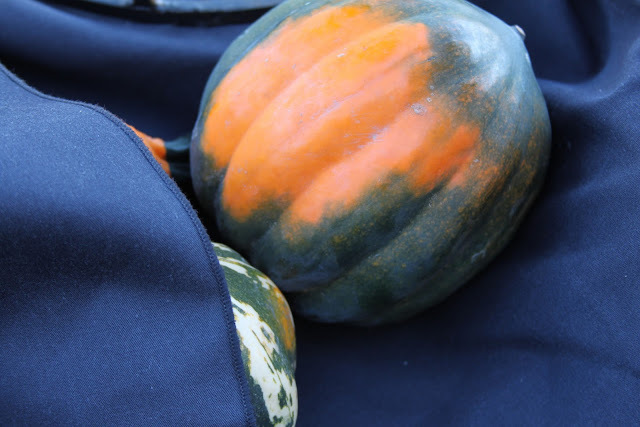 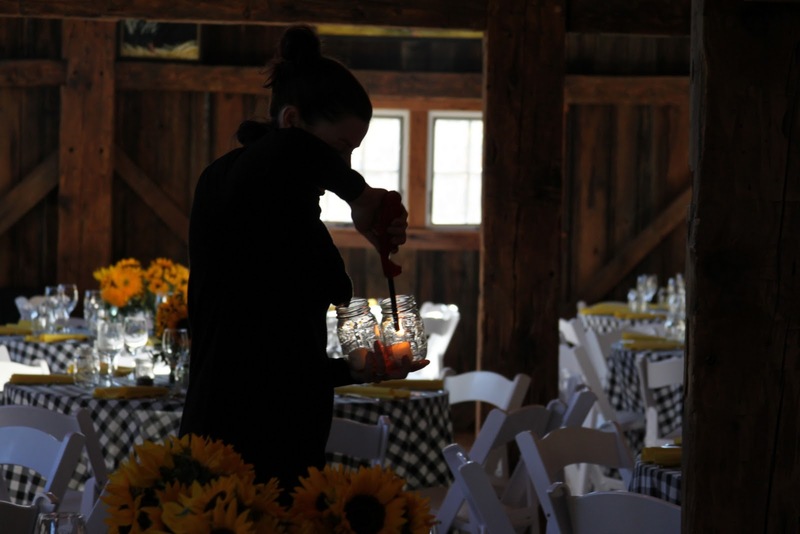 Sarah and Tate had one of the most spectacular fall wedding weekends of all time! 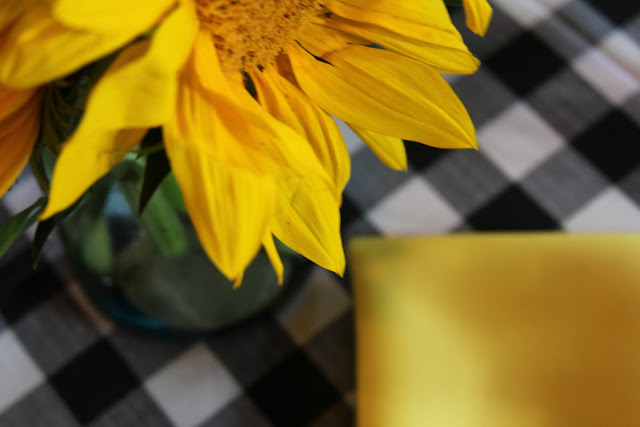 The color was so vivid and after having a cool week and some rain… everything cleared up and was absolutely stunning for their weekend. 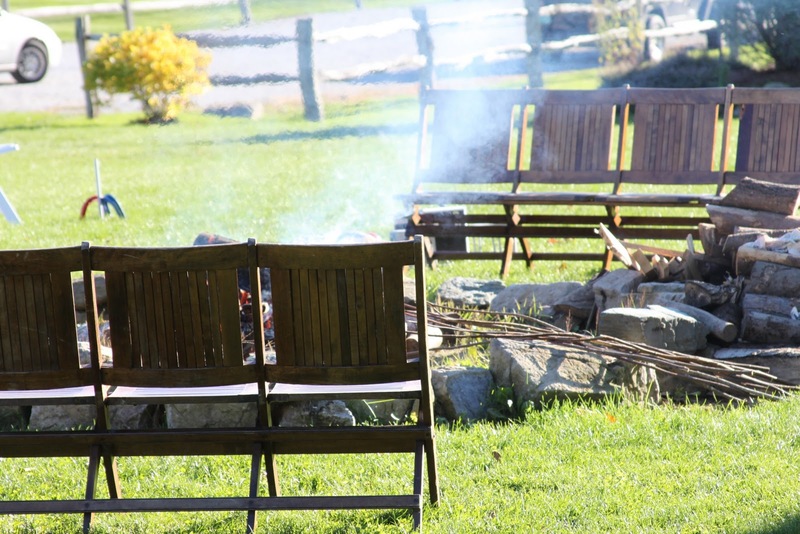 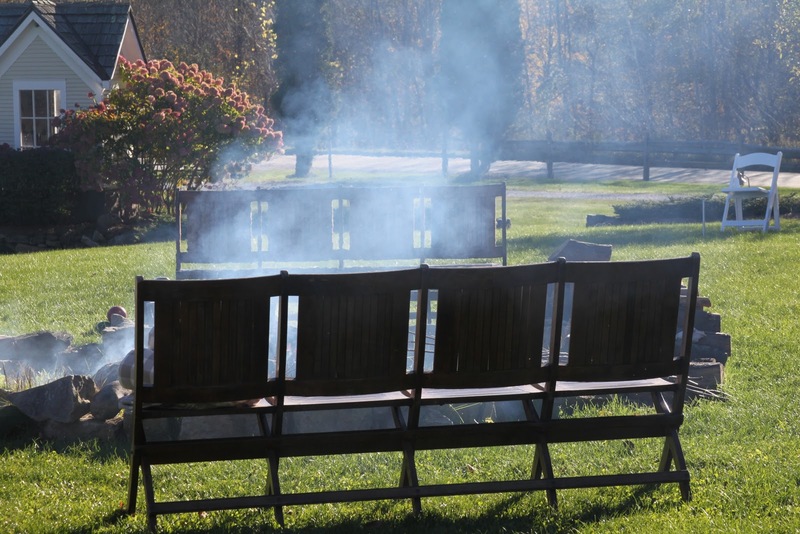 Pretty amazing…all of our weddings this summer and fall have been beautiful and have been able to have their ceremonies outdoors (no “rain plans” needed). 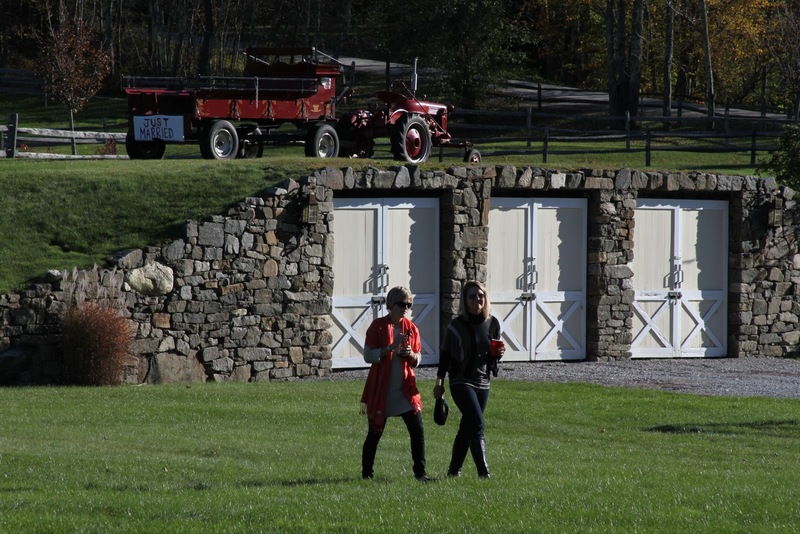 OK – back to Sarah and Tate…. 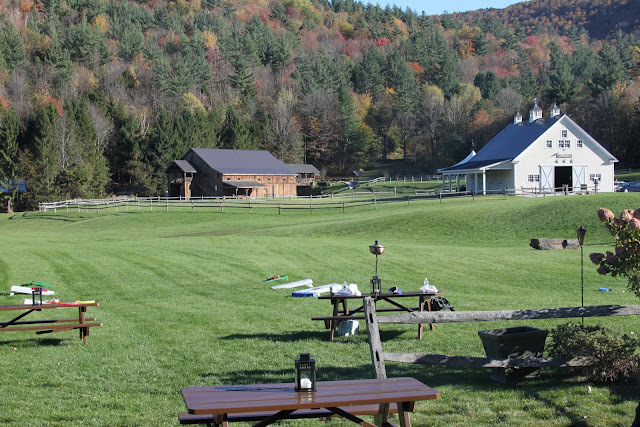 So they love Vermont and have spent a ton of time in the historic town of Woodstock (an hour away) where Sarah’s family has a home there (Martha Stewart called Woodstock, VT “the Best Christmas Village in the USA”- yes it’s THAT cute! 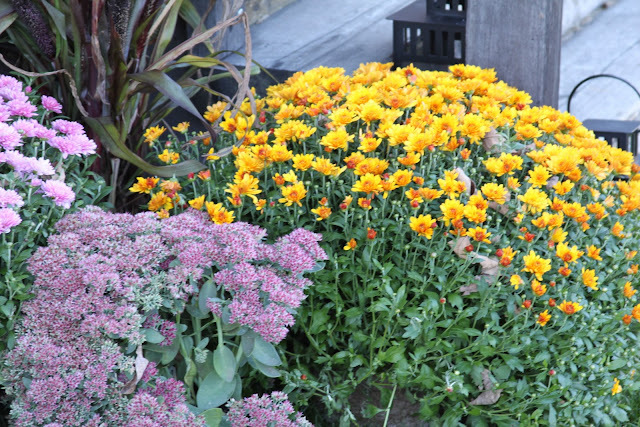 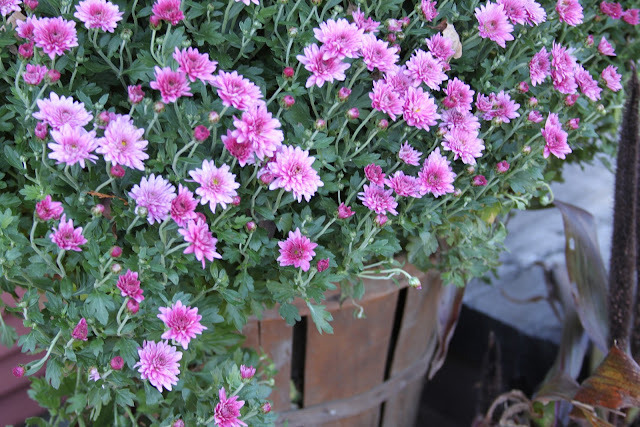 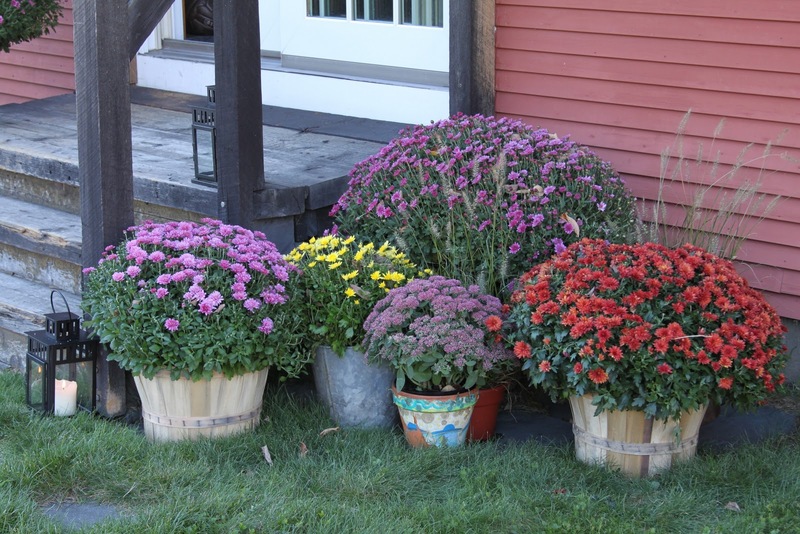 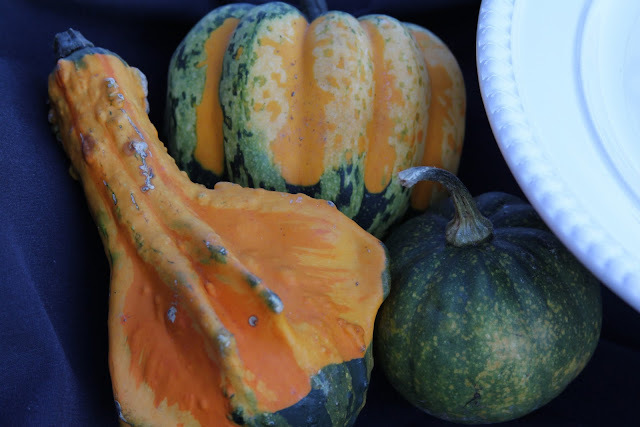 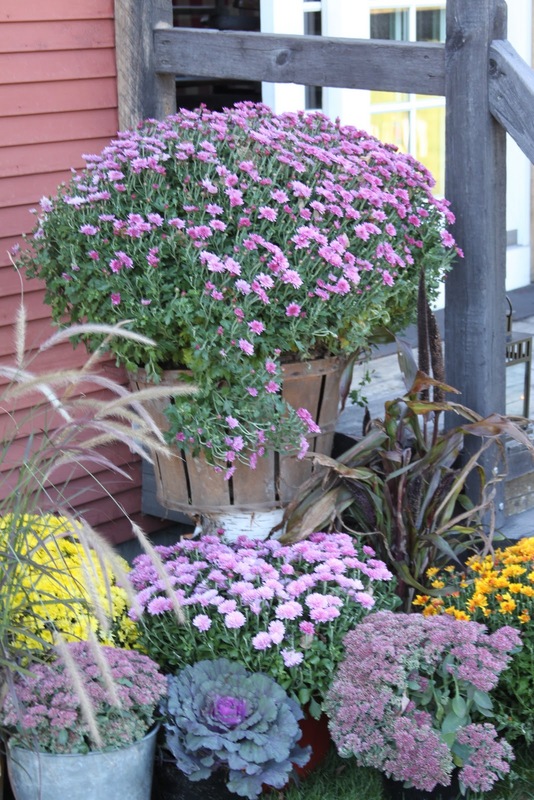 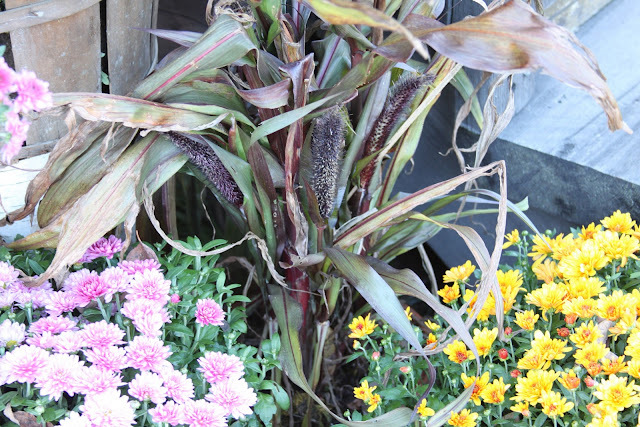 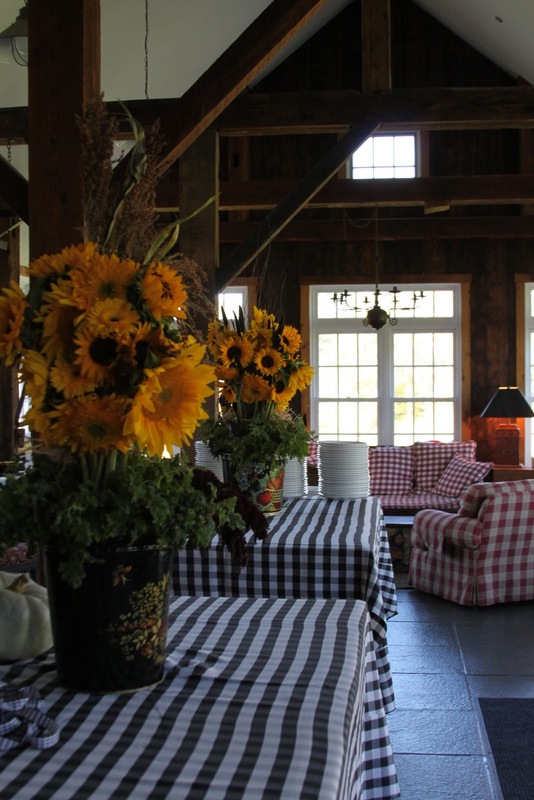 )… and they fell right at home here at Riverside Farm. 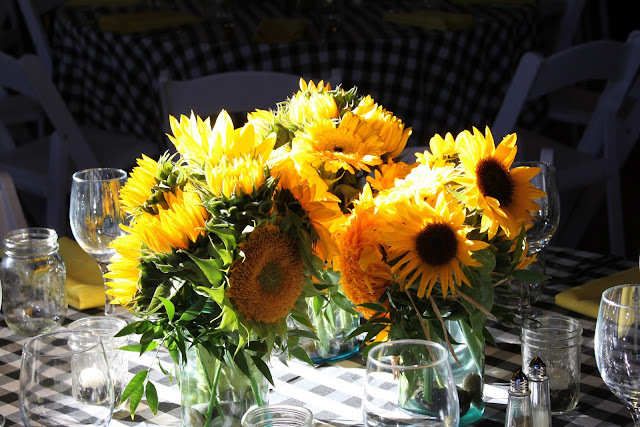 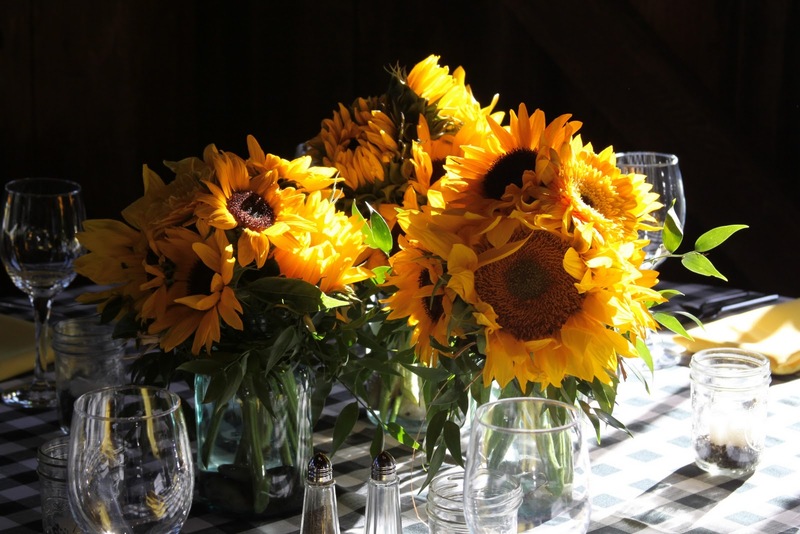 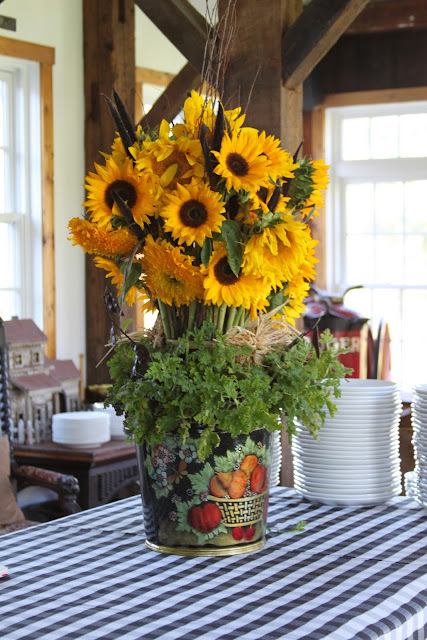 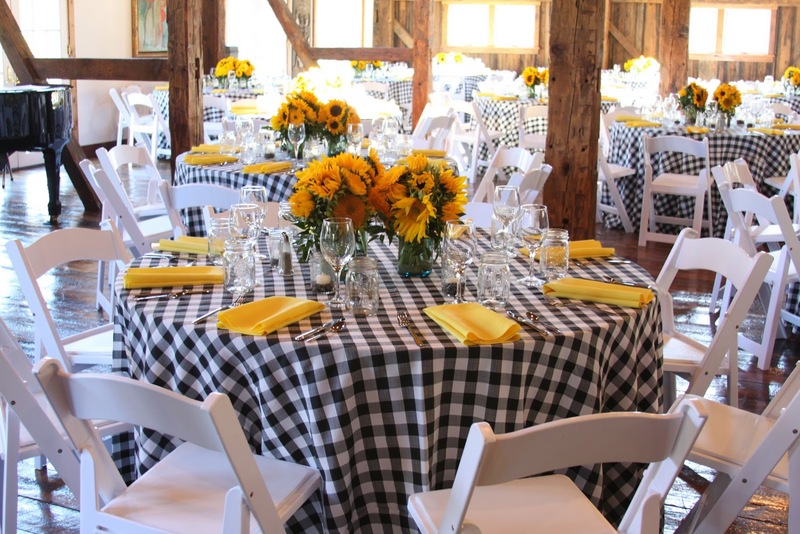 They chose a fun country theme for their Friday night Welcome Party- black and white check linen for their tables and they filled the room with huge baskets of mums and lovely sunflowers in green glass jars – LOVED IT! 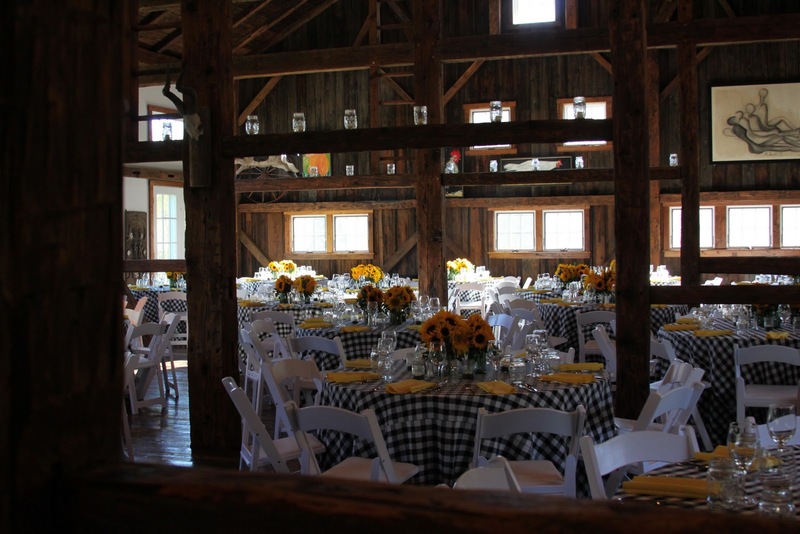 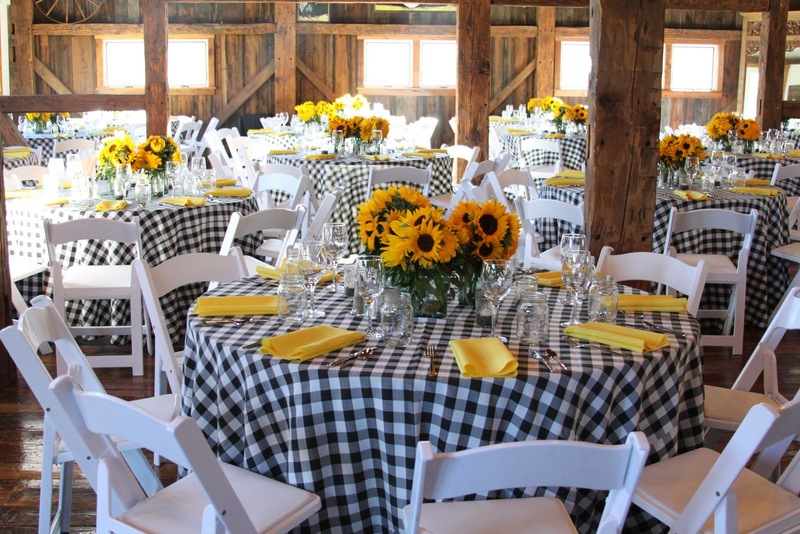 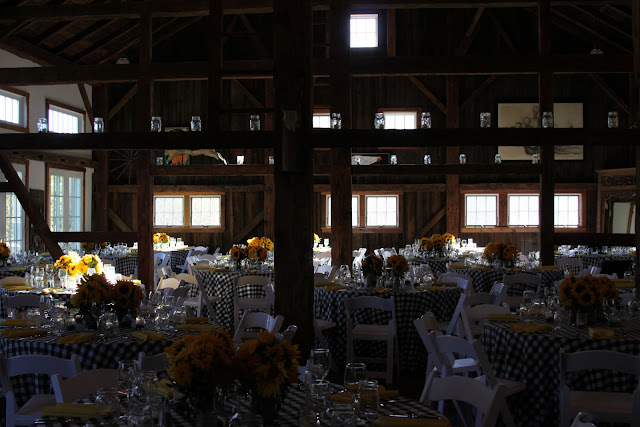 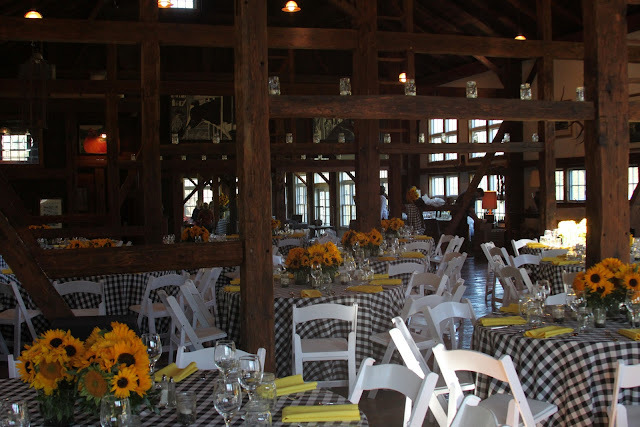 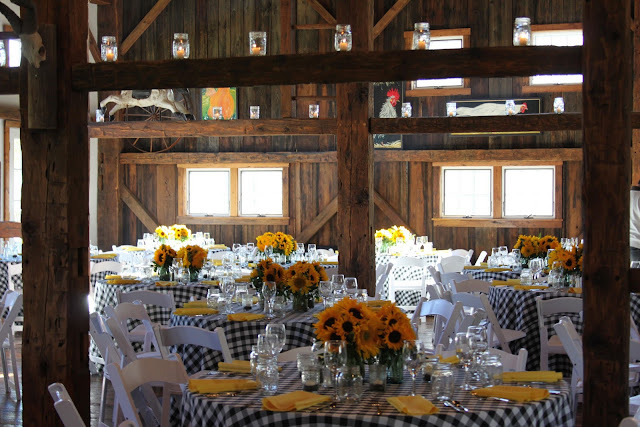 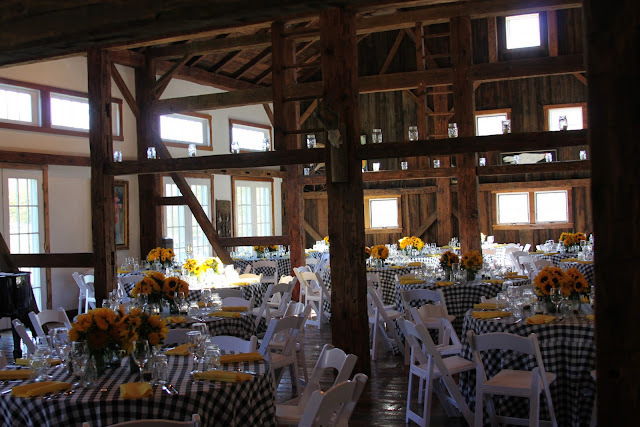 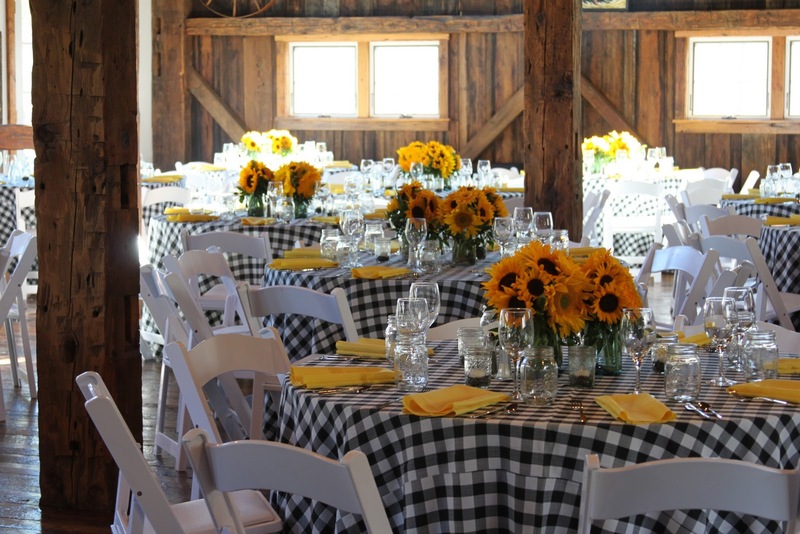 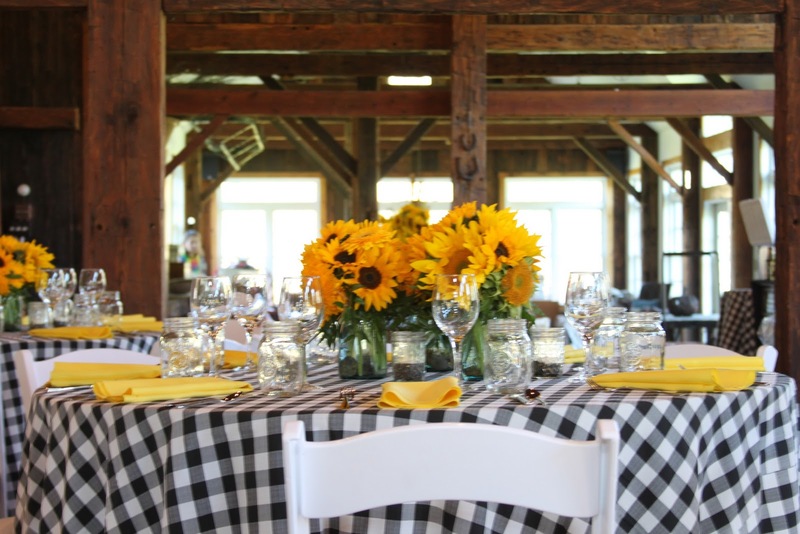 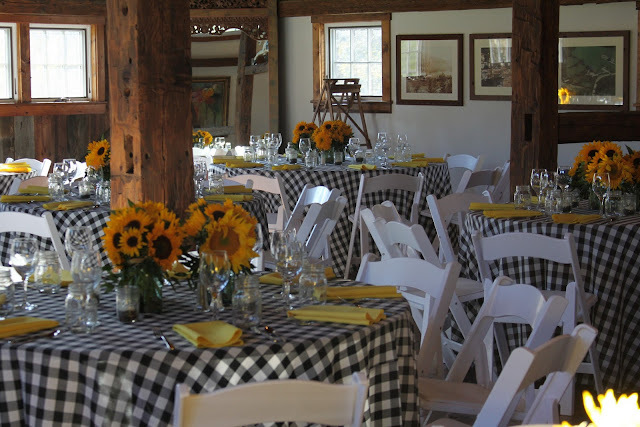 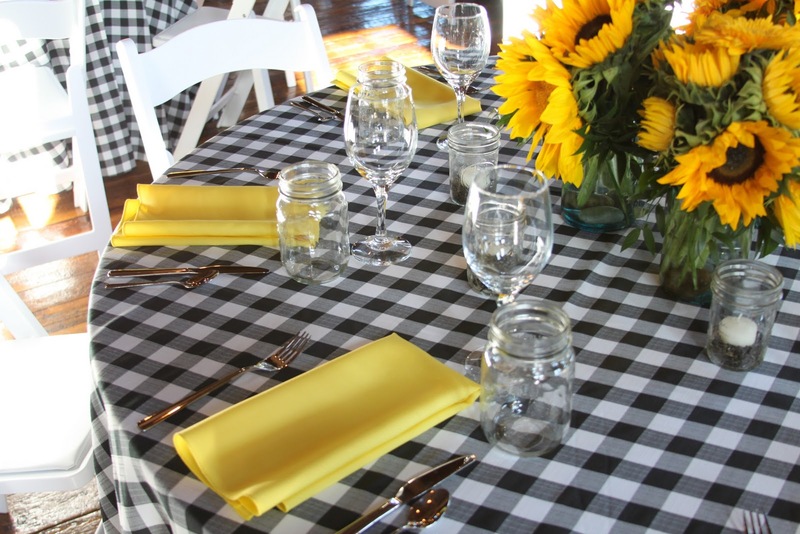 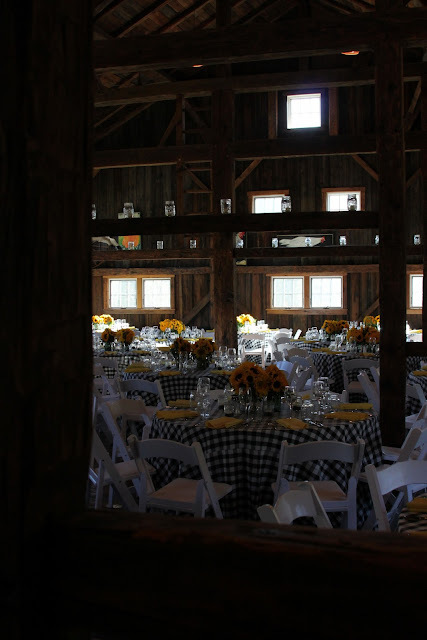 Love these great black n white check linens and bright sun-yellow napkins. 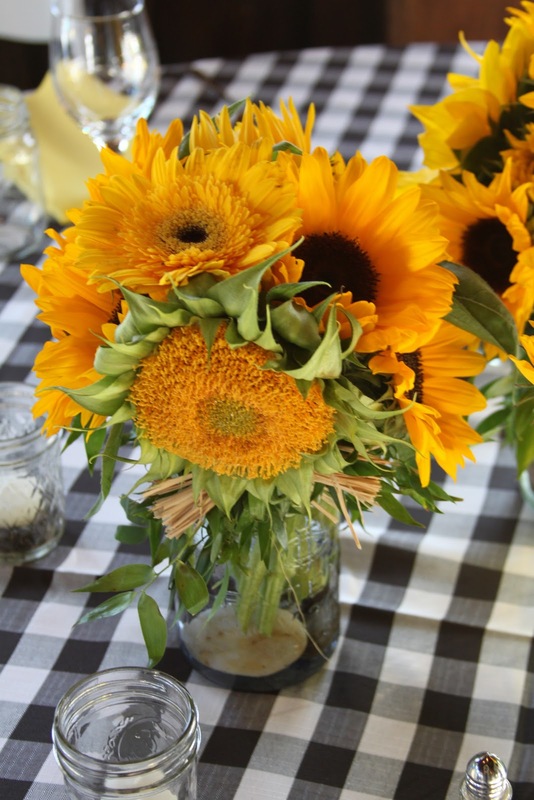 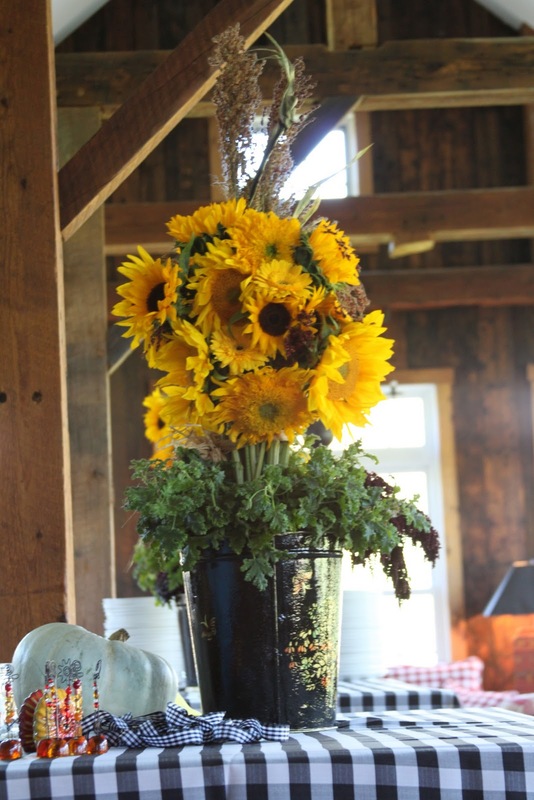 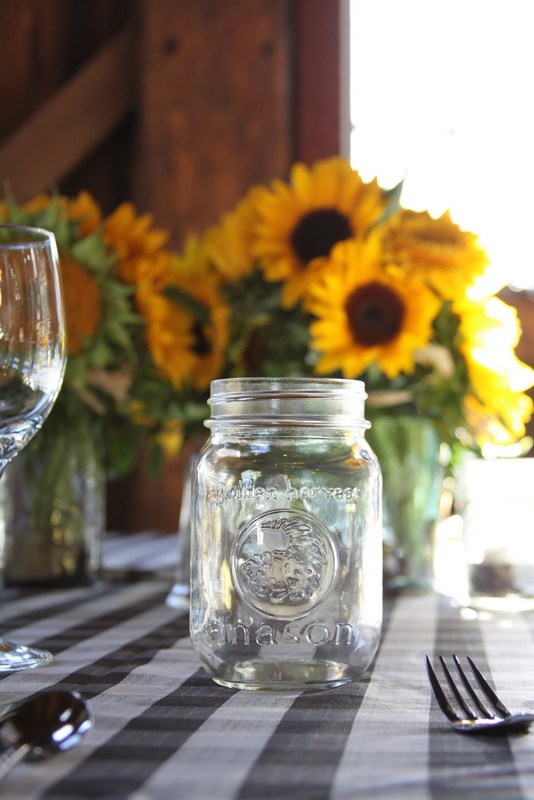 We LOVE mason jars and sunflowers! 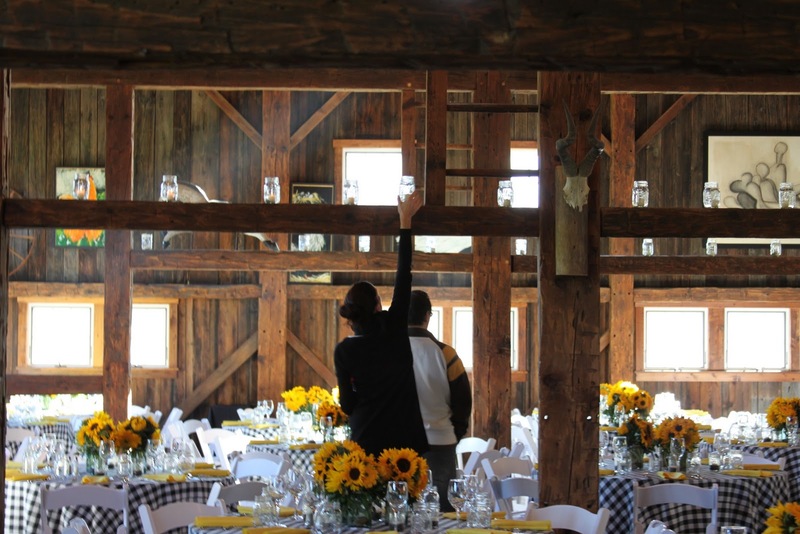 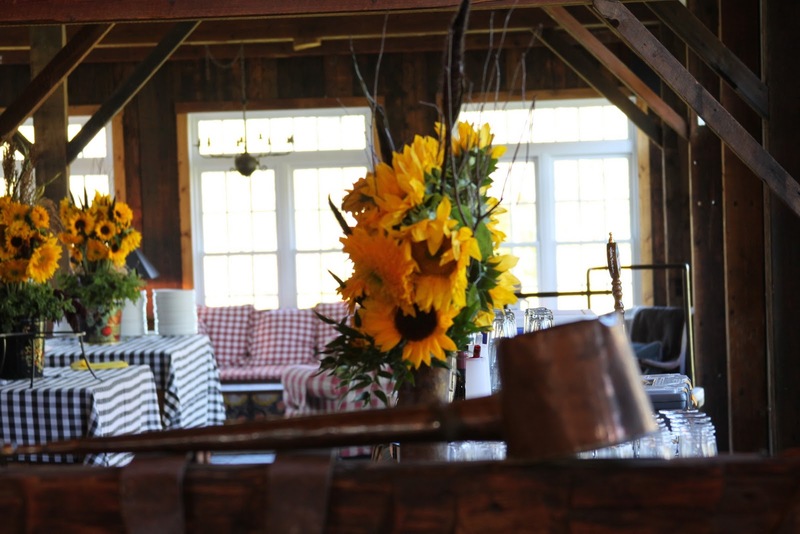 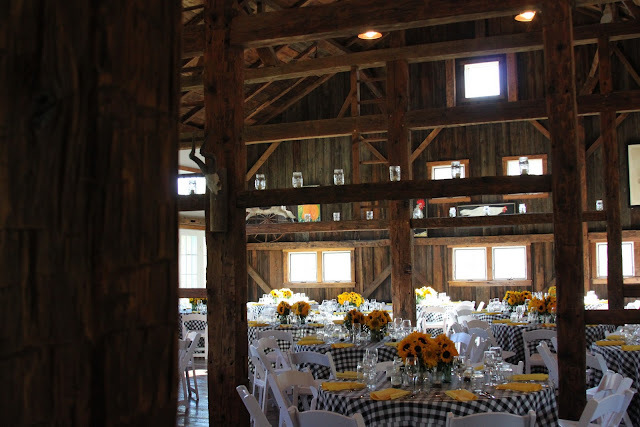 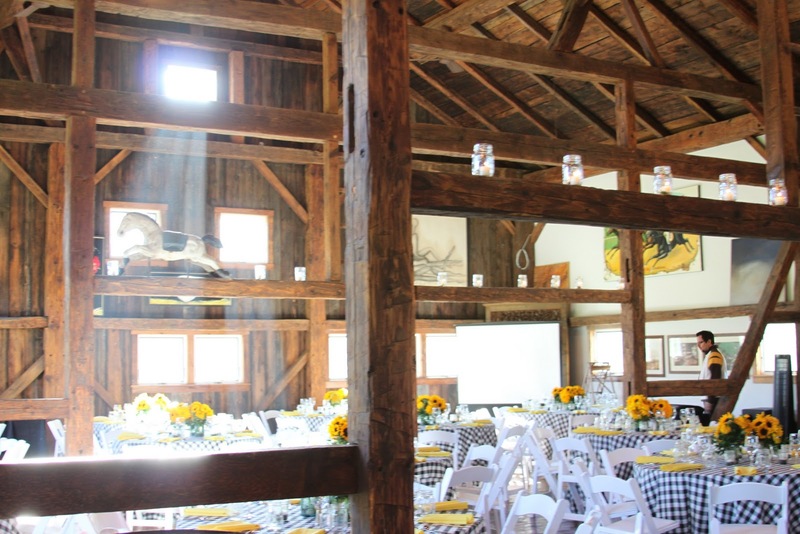 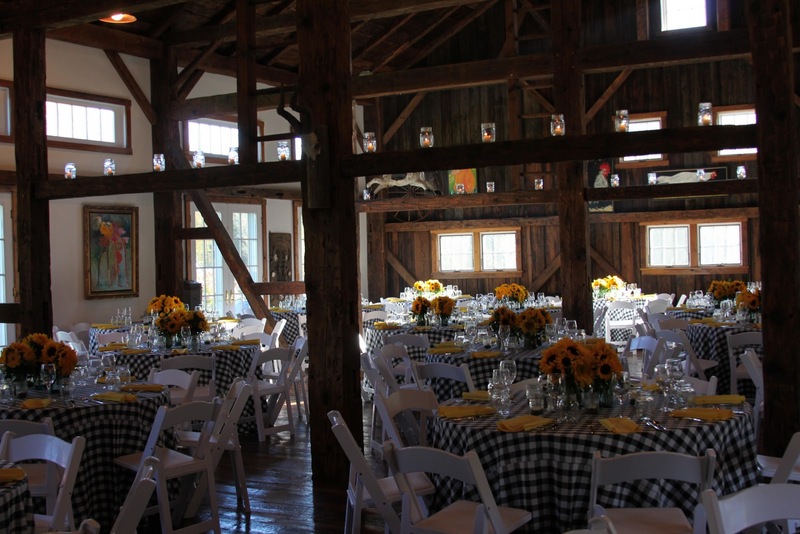 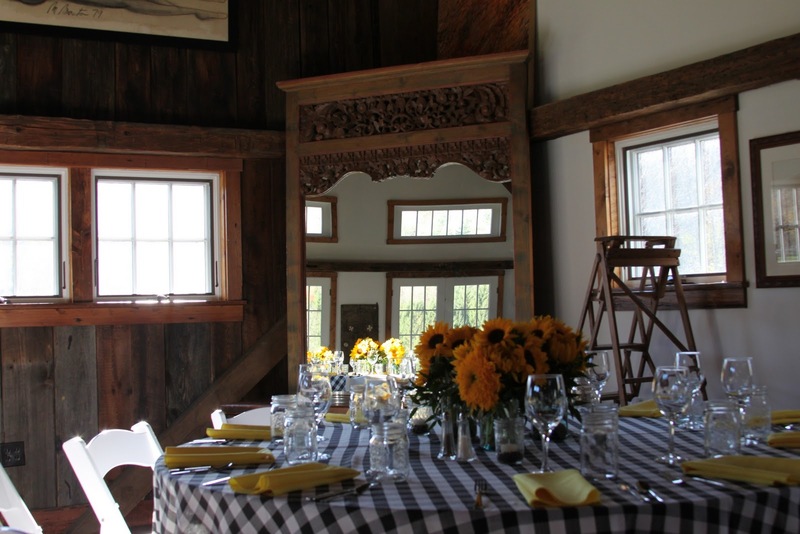 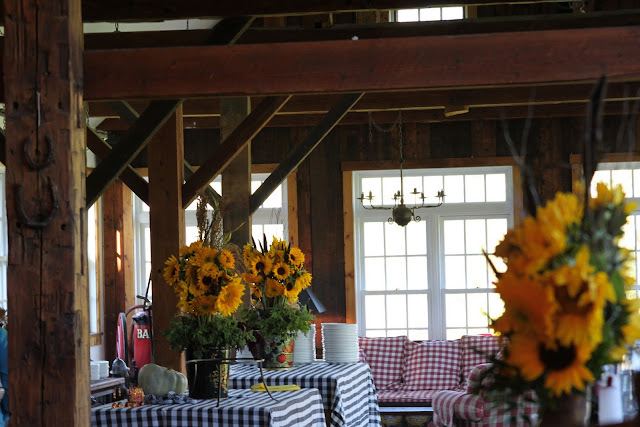 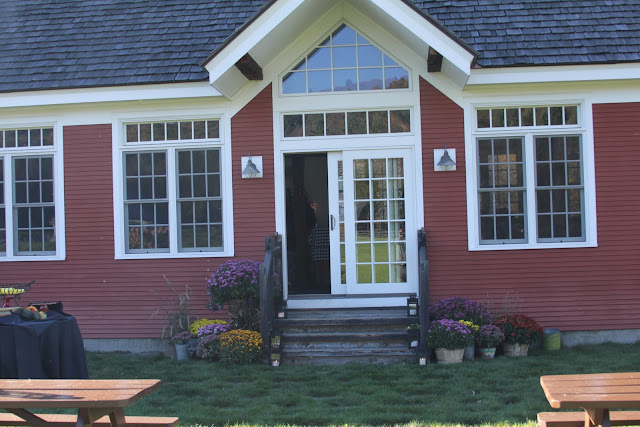 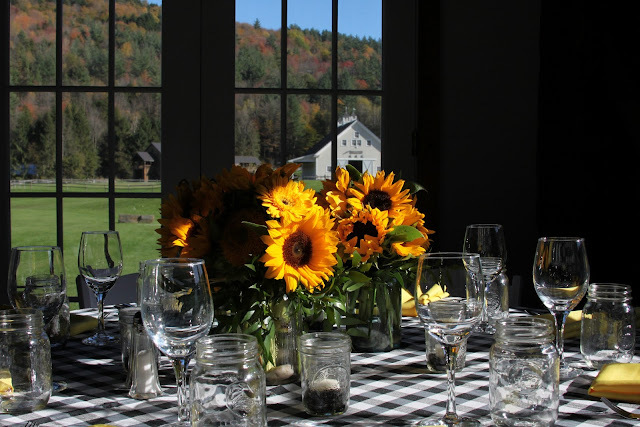 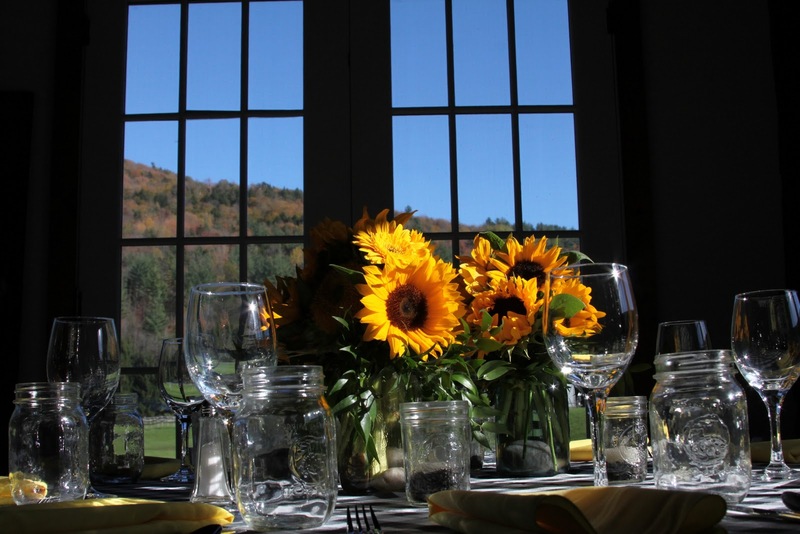 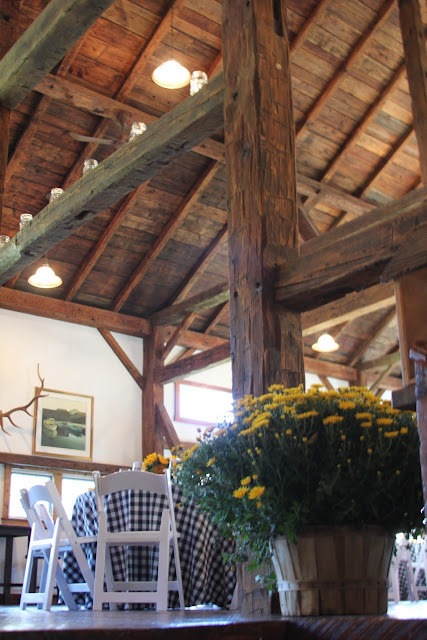 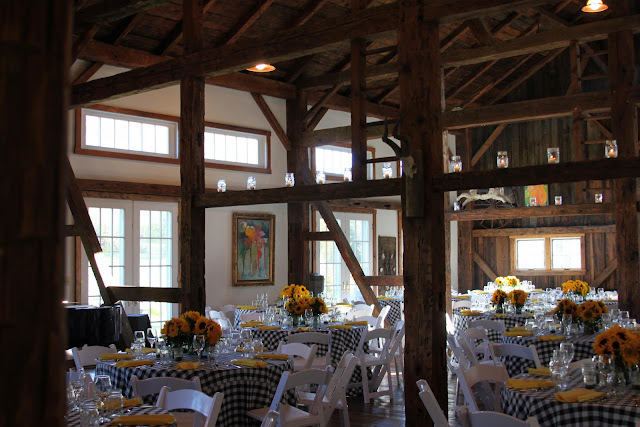 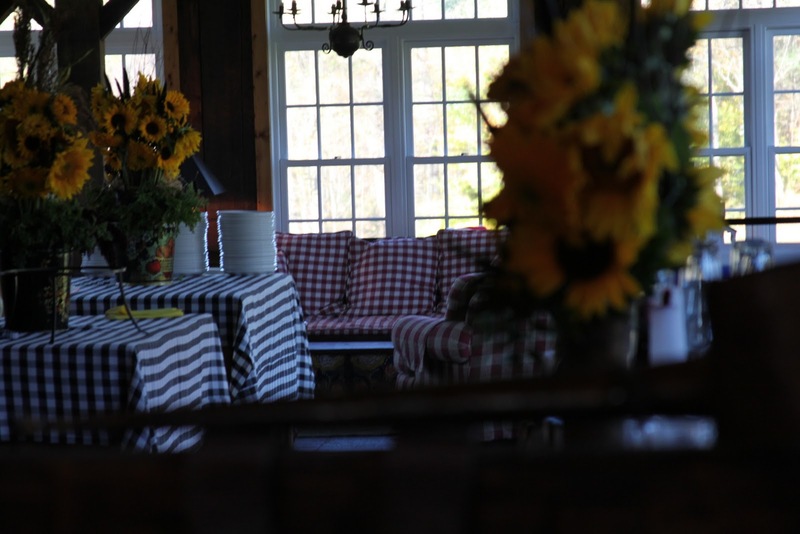 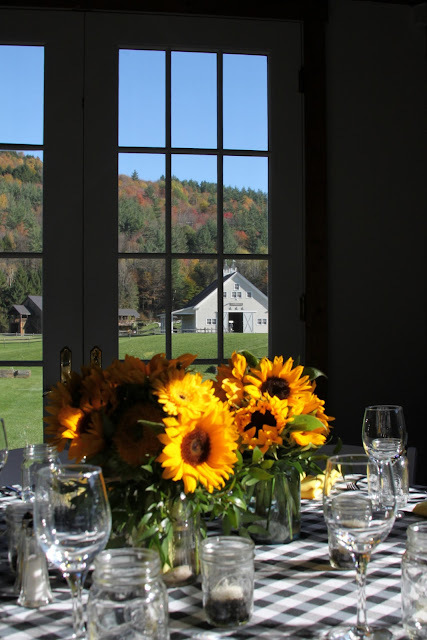 Here is the view from the tables… the whole side of the barn is wide open with french doors and huge windows…the sunlight and these spectacular views pour in! 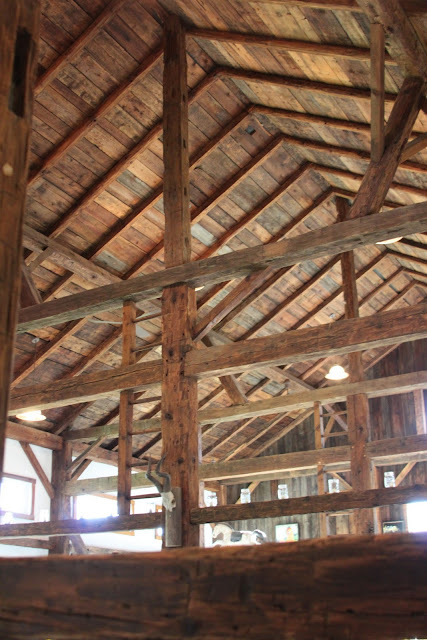 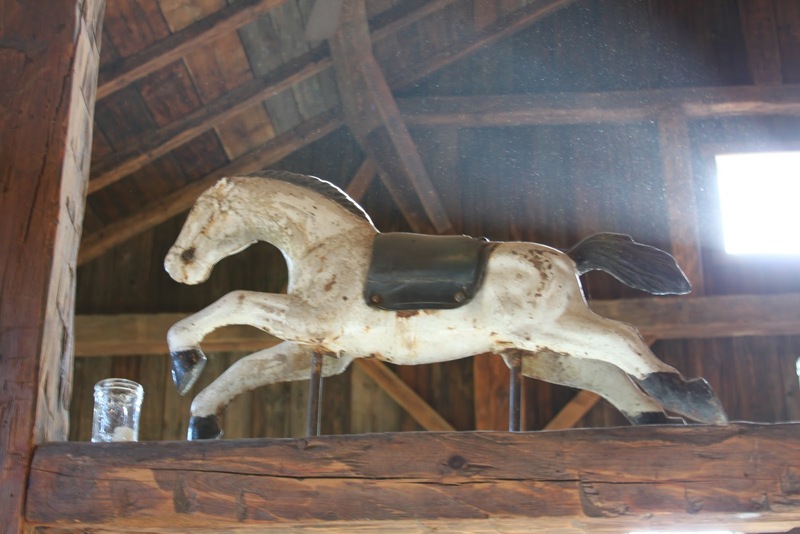 Don’t you LOVE the old beams from the barn??? Me too! 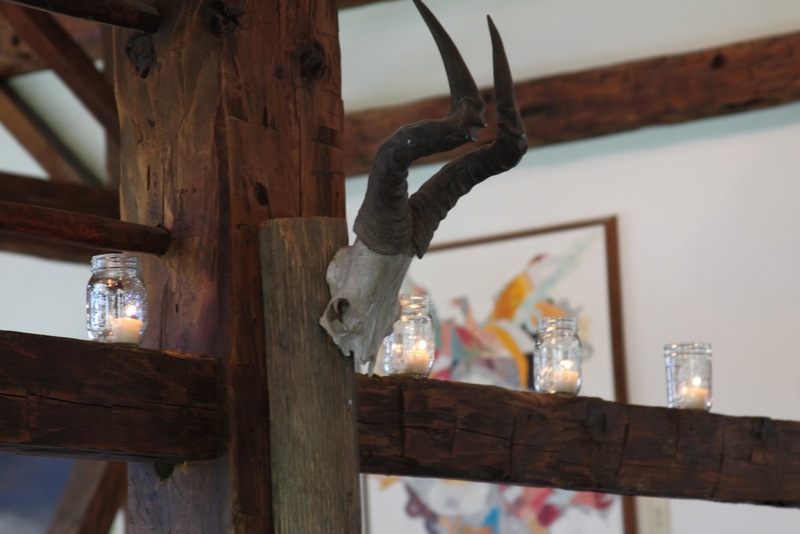 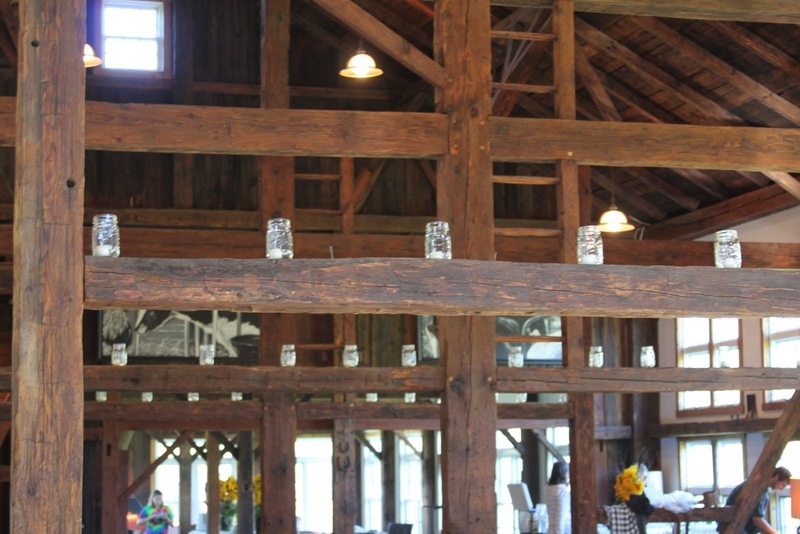 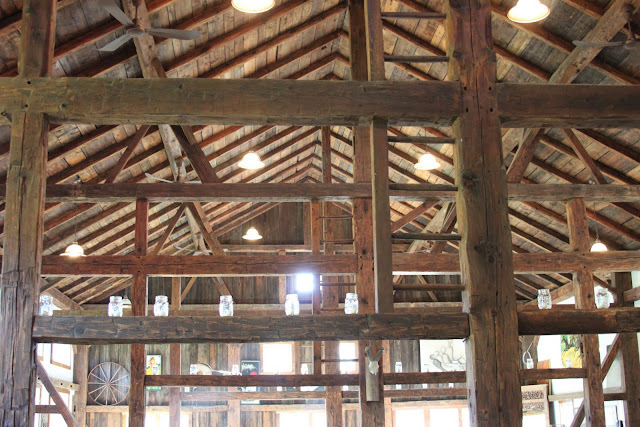 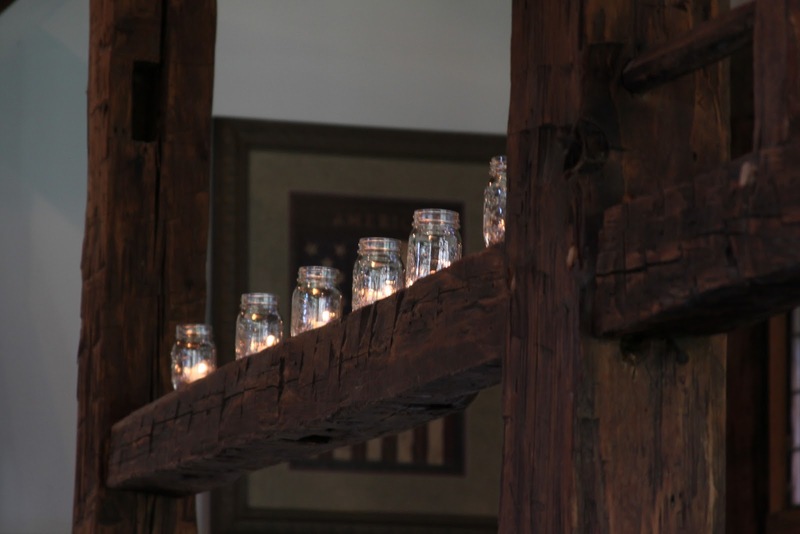 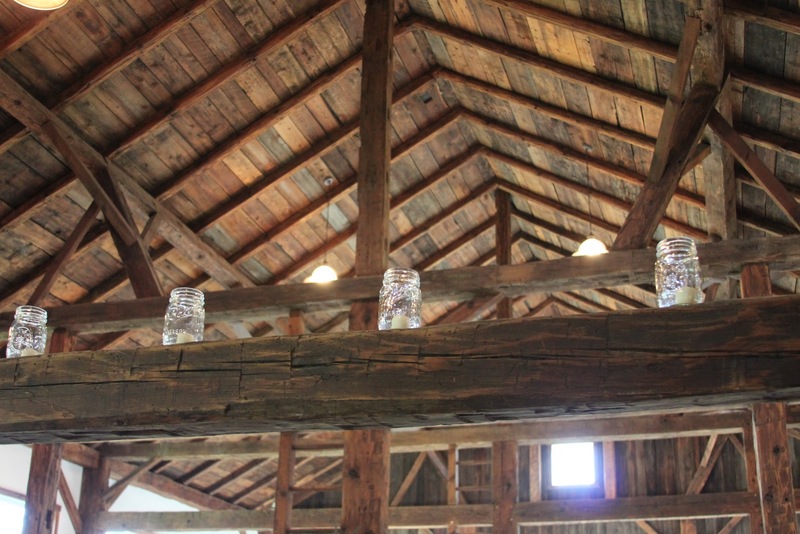 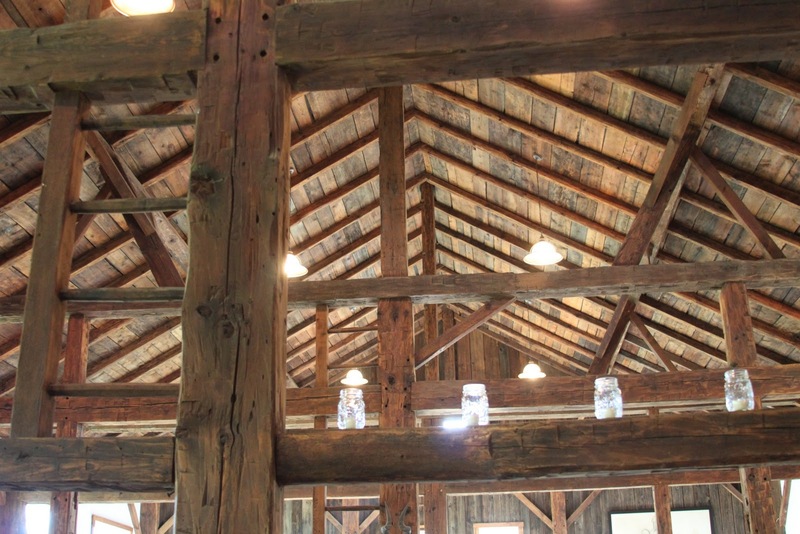 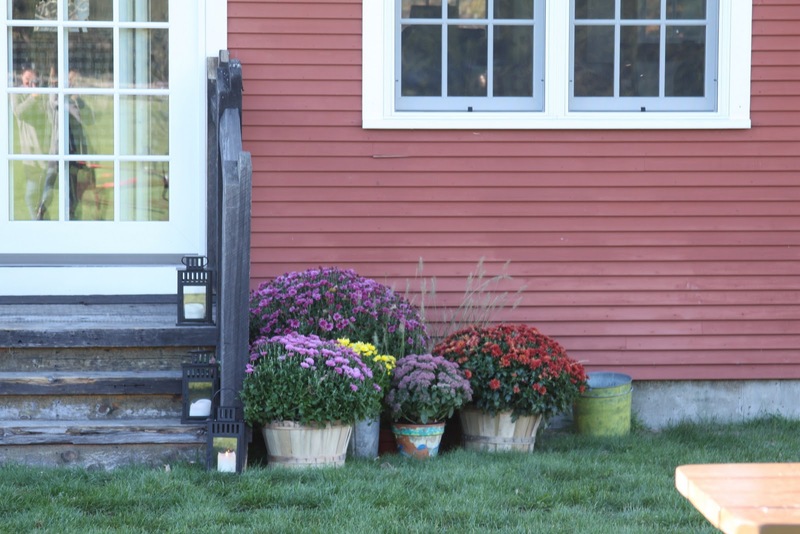 And the simple mason jars on the the lower horizontal beams? So rustic and fabulous as the sun sets. 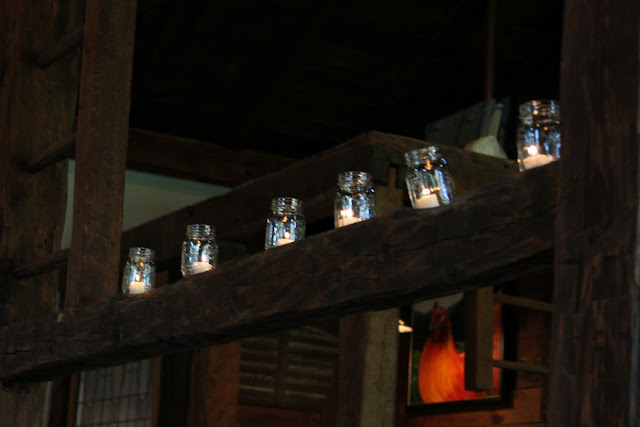 At night, during the dinner, they look like fireflies…floating above the guests. 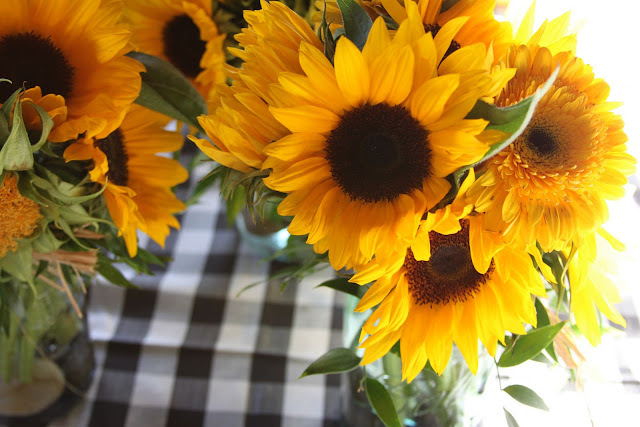 So warm and intimate. 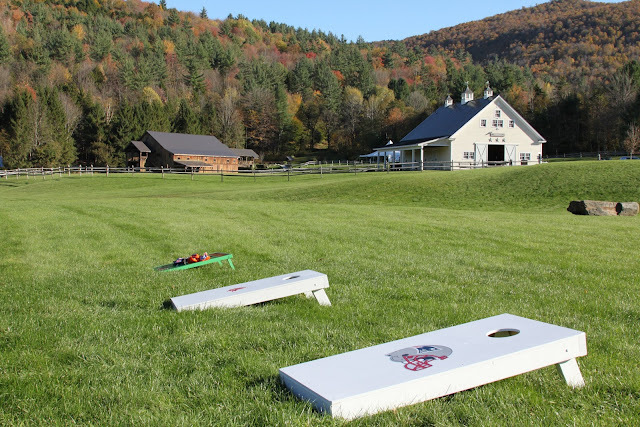 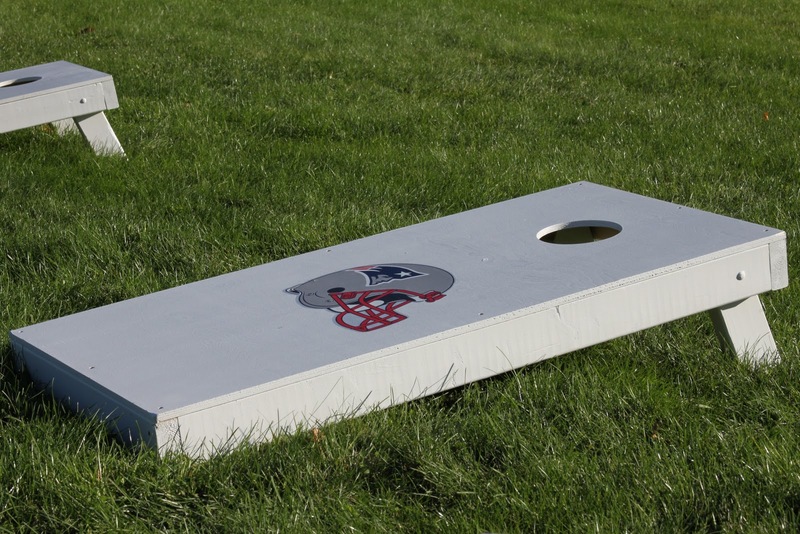 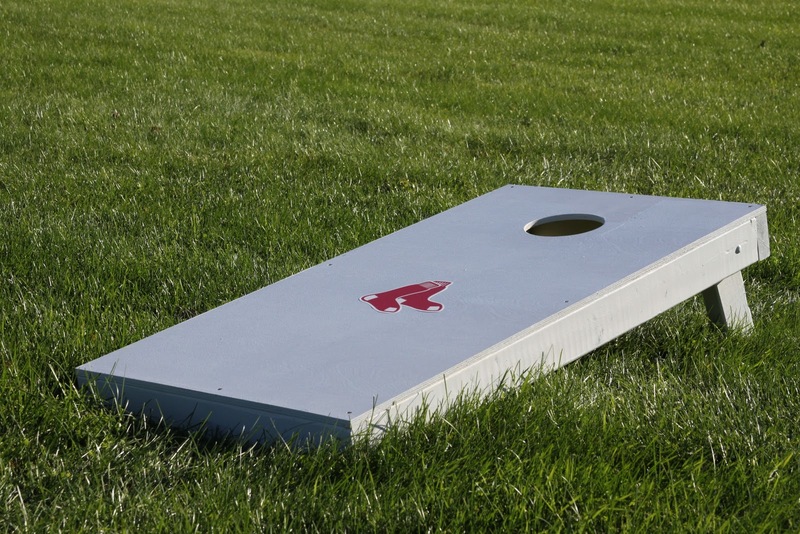 Big Rivalry between Cincinnati and Boston “corn hole” fans…. 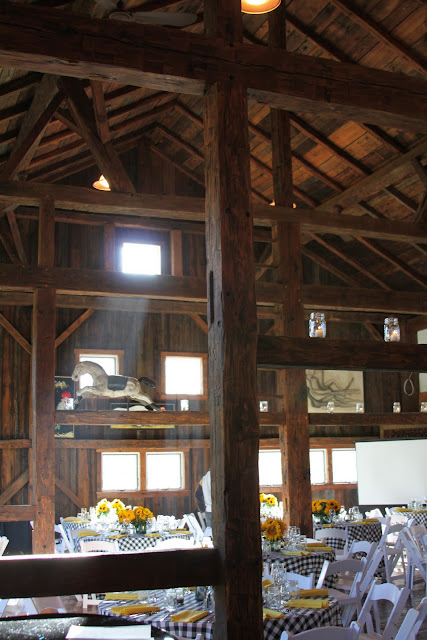 I love that window up top- where the sunlight pours though!